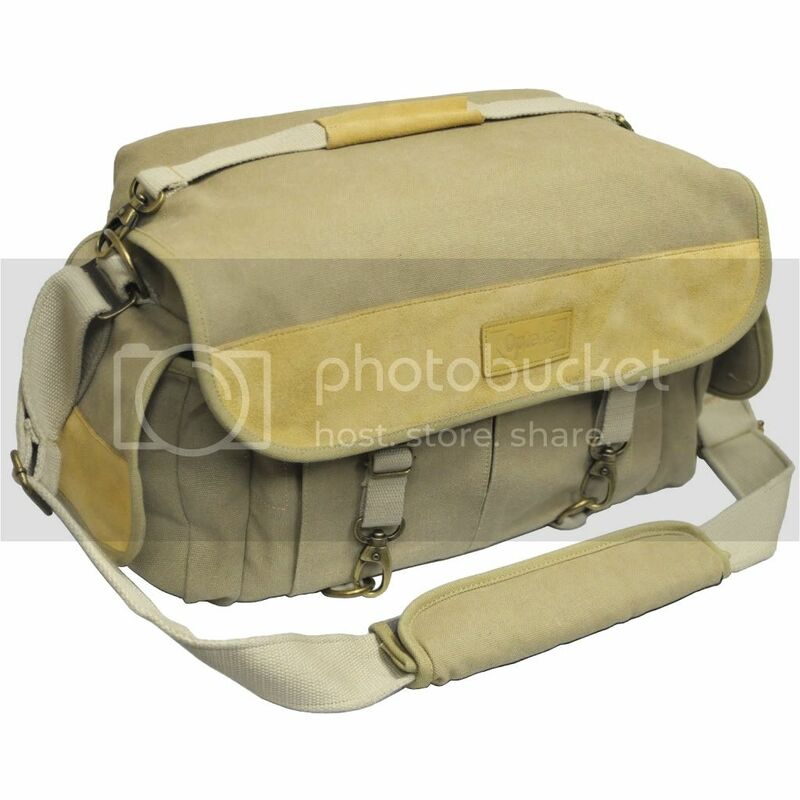 The Opteka C900 full size Khaki canvas bag with leather trim is designed to carry 2 rangefinder or digital SLR cameras with an attached lenses, 2-4 additional lenses, flash, up to a 14" laptop or ipad and accessories. The bag is constructed from dual laminate waterproof canvas with a high-density, fully removable closed-cell dura-foam interior with two dividers and a fully removable section for a 14" laptop or iPad. It has a quick-fold top zippered layer for either extreme weather protection or immediate access to gear (leaving zipper opened). The bag has an exterior back pocket, two front pockets and two side pockets. It is carried by a removable top handle or a padded adjustable shoulder strap with removable waist stabilizing strap. Exterior: L 20" x W 9.5" x H 10.5", Interior: L 13" x 6.5" x 8", Interior without padded compartment: L 15" x W 8" x H 9.5"